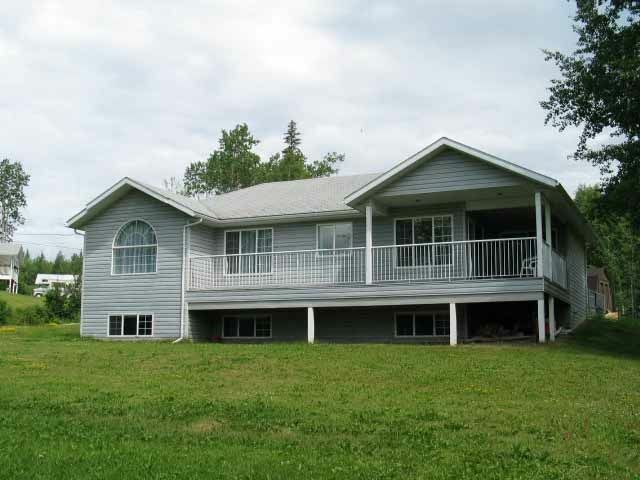 I have listed a new property at 4070 BEATTY RD in Burns Lake. A two bedroom home about 5 km from Burns Lake. The house has had many renovations, including new kitchen cupboards, a redesigned bathroom, and the entrance has changed. The entire house has new flooring, most of the windows have beenchanged, new plumbing has been installed, the laundry room has been redesigned. A natural gas fireplace in the living room/kitchen is the main source of heat. A patio door in the kitchen gives access to a large deck. There is an attached garage for the vehicle nad a pole shed behind the house for other toys.